The depth of experience on the Soulpepper team allows us to offer the unique combination of believable and rigorous role play, powerful feedback and invaluable coaching that inspires confidence and gives practical models for ongoing success. Soulpepper Resident Artist Derek Boyes has more than 20 years of experience in the corporate training world and has scoured the theatre community to gather like-minded experts in this field who are also brilliant actors capable of simulating authentic work place scenarios to allow challenging and fulsome learning. Derek’s team is currently partnered with one of Canada’s telecommunication giants and is very successfully coaching their senior executives and directors to sharpen their messages and launch change in their culture. Derek Boyes has been a Soulpepper ensemble member since 2004 and has acted and directed in more than 40 productions. He has been a resident artist since 2008 and has been a key member of their youth outreach and audience enrichment initiatives through his years with the company. Derek has also been part of the Stratford Festival and Shaw Festival ensembles. In 2004, Derek began a relationship with Practice Works inc. an industry leading company that offered their clients the opportunity to practice their communication skills with performers trained to react to their approaches in an authentic and rigorous roleplay and provide emotional feedback from the character’s point of view. From 2006 to 2010, Derek became one of the lead trainers for the company as well as performing the “simulations”. Derek travelled from coast to coast in Canada and to New York with companies that included KPMG, Sun Life Financial and TD Bank. 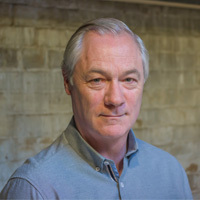 In 2016, Derek created a Soulpepper corporate training arm and is currently leading a team of 6 interpersonal skills experts that has successfully helped a national communications company develop and implement a culture change initiative that has been delivered to more than 700 of their top executives and directors and intends to share with 2000 managers over the next few years.